The Strzok’s Hearing Meltdown: When did the GOP turn against the FBI? 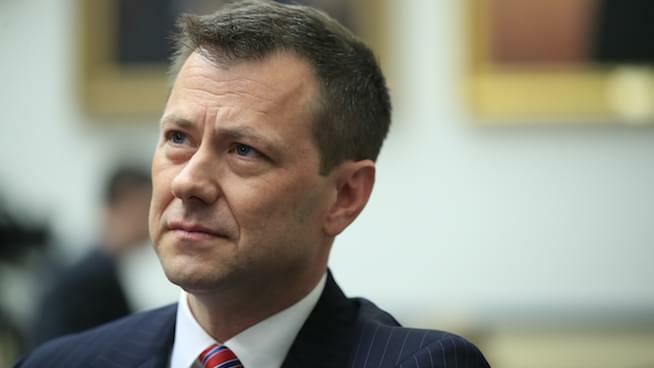 Democratic and GOP lawmakers’ power struggle was put on full display in an embarrassing sequence of events at FBI Agent Peter Strzok’s congressional testimony Thursday, which regarded inappropriate texts exchanged between himself and his former colleague Lisa Page. The messages, which revealed the couple’s affair and spoke negatively about Trump, are still being spun by Republicans to discredit the bureau’s ongoing Russian probe, despite the Justice Department inspector general concluding in a 500-page plus report concluding Strzok’s bias toward the sitting president and relations had no impact on the investigation. The House hearing has been described as “wild,” a “show trial,” a “shout fest” and a “partisan brawl” for its departure from diplomacy and descent into complete chaos. Host Pat Thurston dedicated her on-air time to reviewing the details, discussing her own concerns and taking listener comments. She posed the question: “When did the GOP start viewing the FBI as the enemy?” Listen below!